Greater Vancouver can become the first urban region in the world to combine in one place the things to which humanity aspires on a global basis: a place where human activities enhance rather than degrade the natural environment, where the quality of the built environment approaches that of the natural setting, where the diversity of origins and religions is a source of social strength rather than strife, where people control the destiny of their community, and where the basics of food, clothing, shelter, security and useful activity are accessible to all. This ideal has flowed into the current Regional Growth Strategy. When talking about livability in Metro Vancouver, what kind of local economy we should support hasn’t been discussed as much as other topics. The current Growth Strategy does talk about supporting a sustainable economy, but it is almost entirely focused on land-use policies. Some people have the notion that a healthy economy and creating a livable regional are conflicting ideals. Of course this isn’t the truth, but this idea still exists in the minds of many. 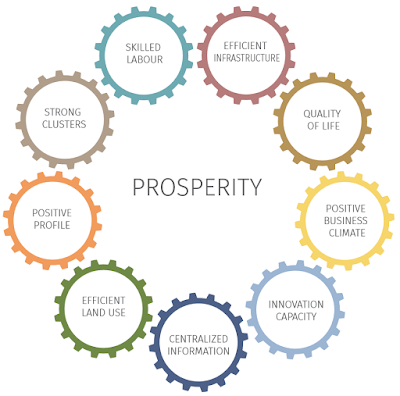 This new green paper presents the idea of prosperity as a way to tie economic development and livability together. Enabler of prosperity. From Metro Vancouver's new green paper. Metropolitan areas are the economic drivers of provinces and of Canada. For example, Metro Vancouver had a total GDP of $119.2B in 2013 which represented more than half of BC's economic output. In Metro Vancouver, there are challenges that are limiting the prosperity of our region. The green paper identifies deteriorating affordability, a shrinking land-base, lack of investment in transportation and transit, and the impacts of climate change as areas where specific action is needed to ensure continued prosperity. 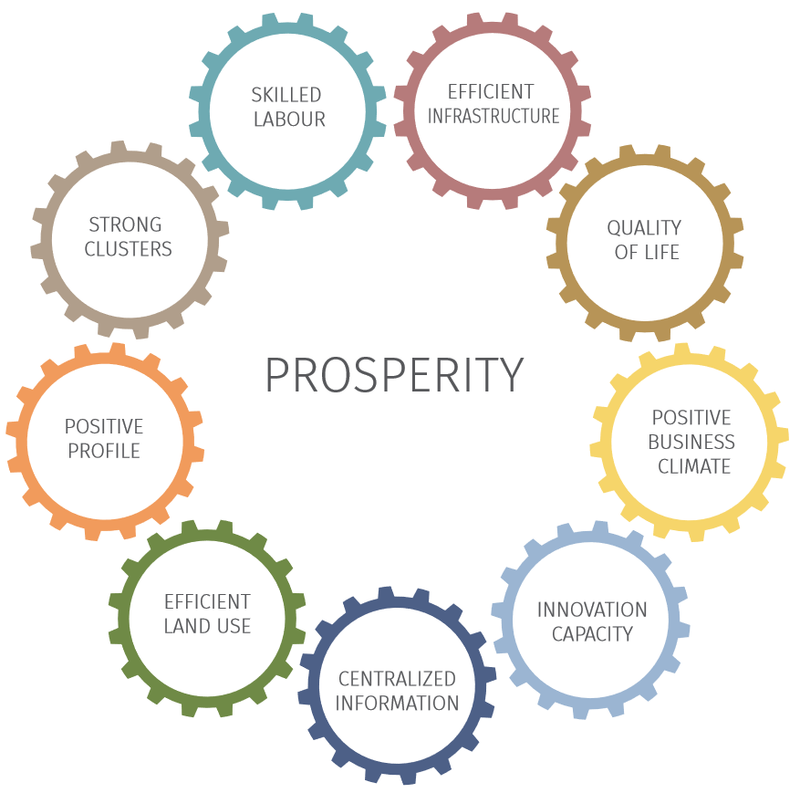 The green paper makes a pitch for the creation of an organization that supports and promotes economic development within the prosperity framework. Examples of other such organizations include the Puget Sound Regional Council and Calgary Economic Development, among others. These organizations enable the private-sector and public-sector to come together to support economic development. Now that Metro Vancouver has released its green paper, it will be hosting a “Forum on Regional Prosperity” in early 2016. It will be interesting to see if the idea of creation a regional prosperity agency takes hold.